So Mr. Know-it-all, I mean Robin get's the Teen Titans in a bit of a pickle and who does he turn to, Superboy. 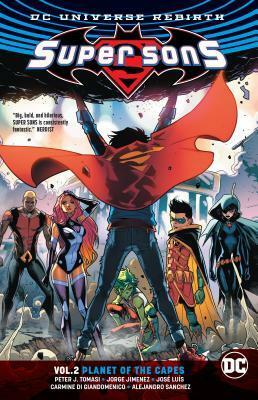 With Superboy's help the Teen Titans are saved and Robin goes back to being young. Obviously the story can't end there, so, cue a portal to another realm and the Robin and Superboy being pulled through. Their adventure is interesting, difficult, and full of heroics. Definitely worth reading. Super Sons is actually a really good series that sees Robin actually acting more like a 13 year old.